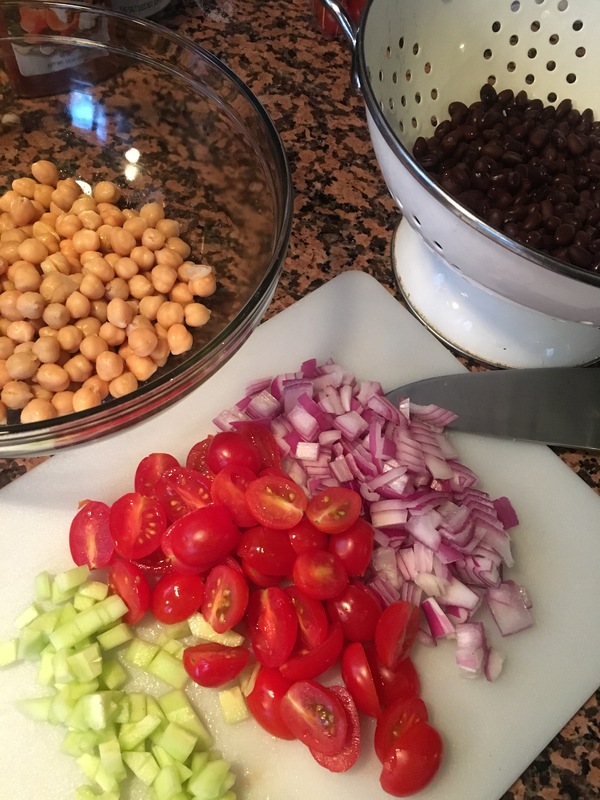 I have officially found my new favorite bean salad. I have been searching for something light yet filling and I found it in this little gem. I appreciate any recipes that require no cooking at all. 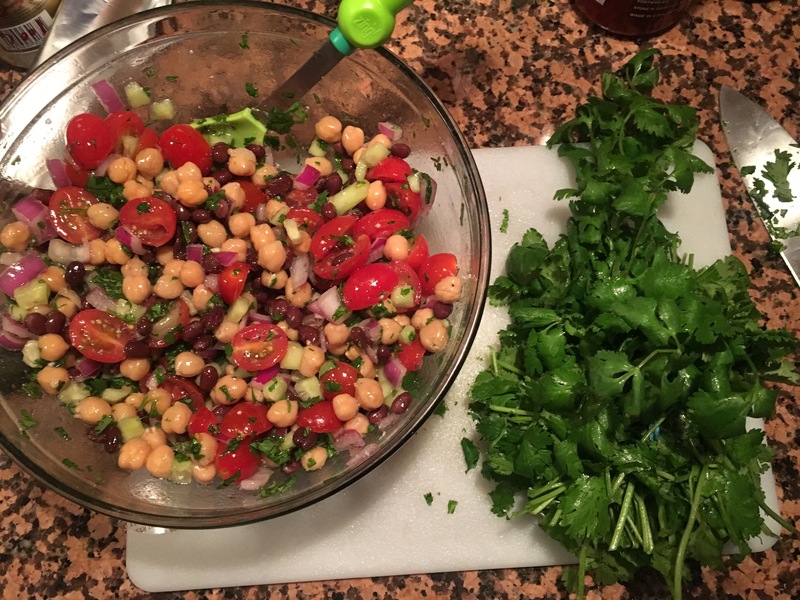 If you can pour things in a large box and mix it, than you can make this simple and delicious salad that you can eat as a full meal or refreshing side dish. Perfect for the summer! I am literally going to bring this to everyone’s cookout this summer. 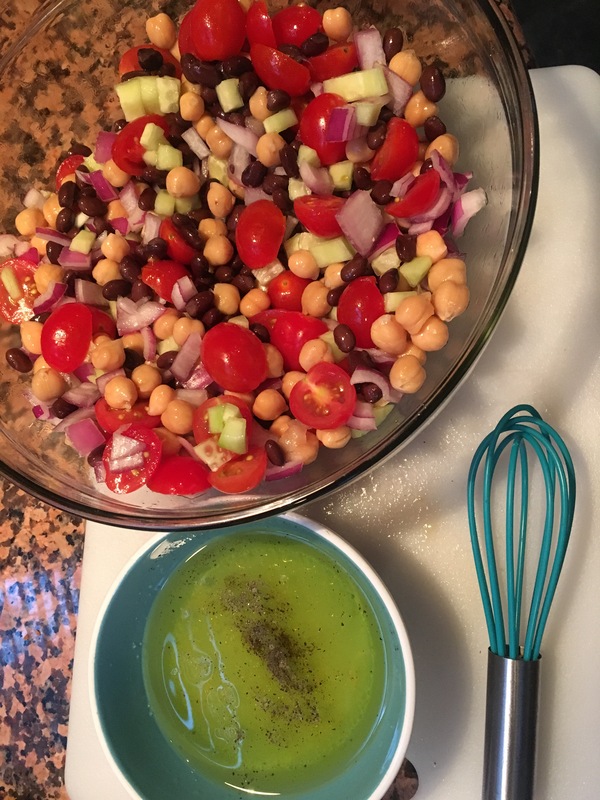 I found a version of this salad on Pinterest but was turned off by some of the ingredients in the original recipe like mint, parsley and apple cider vinegar. I added some things and took some out and made my own. Mix the olive oil and 2 tablespoons of lemon juice. Add salt and pepper to taste. It’s THAT simple. Put that aside as you chop and prep all of your ingredients. Wash and drain all of the beans in a medium strainer. Pour them into a mixing bowl. Add your diced onion and cucumber. Add your sliced tomatoes. Mix well. Add your dressing and give it a toss. Add some finely chopped cilantro and let it chill in the fridge for about 15 minutes.